We are more than happy to serve the Ontario community with premium grade mail order Marijuana. Whether you’re living in downtown Sudbury, Valley East, Rayside-Balfour, or anywhere in the Greater Sudbury area we will be happy to provide you with the finest weed, edibles and more right to your door. Did you know that we only ship Xpresspost with signature to guarantee all of our deliveries! You know what would be fun? Going to Science North after smoking some Blue+Yellow weed! (Seriously, try it). Or going sledding after hitting some Rockstar Shatter! Use Code: SUDBURY10 for 10% off your next order! Chronic Pain — Studies have shown that consuming marijuana may be helpful in managing neuropathic pain. A 2001 study found that cannabis used at a concentration of 9.4% THC moderately reduced pain and helped sleep, with little ill effects. Cancer Treatment — Numerous studies have been done on the benefits of taking medical marijuana to help control vomiting and nausea in chemo patients. The researchers determined that the cannabinoids were more effective than the active control or the placebo at reducing vomiting and nausea. THC has also been shown to increase appetite. 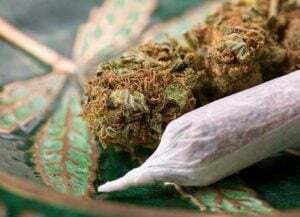 Glaucoma — Marijuana is often used to treat and prevent the eye disease glaucoma, which raises pressure in the eyeball, injuring the optic nerve and causing vision loss. Studies have shown Cannabinoids effectively lower intraocular pressure (IOP), likely by increasing ocular blood flow through their vasorelaxant properties. Seizures — Some clinical studies suggest that CBD, a non-psychoactive cannabinoid of cannabis, could potentially be helpful in regulating seizures. For more information on Epilepsy and Cannabis please visit Epilepsy.com. Dravet’s Syndrome — is a syndrome which causes intense seizures. According to the film “Weed”, the young subject used a cannabis strain high in cannabidiol and low in THC. This reduced her seizures from 300 a week to just one every seven days. According to the film Forty other children in the state are using the same strain of marijuana to treat their seizures– and it seems to be working.